300 hand numbered copies, reverse board mat cover, and printed inner sleeve with download code included. Vic Mars is a Herefordshire born musician currently based in London, he has recently returned from spending over a decade in Nagoya, Japan. In 2008 he released the mini-LP 'Kanransha' on Kentaro Togawa's Symbolic Interaction label, and 2012 saw the Bandcamp released library music inspired, 'Curriculum For Schools And Colleges: Volumes 1 &2'. In 2013 whilst still based in Japan but on a visit home, Vic was stuck by the reprints of vintage British Railway posters hanging in his brothers house. Back in Japan, homesick and inspired by his childhood memories of the Herefordshire landscape he started the initial recordings for The Land and the Garden, carefully piecing together string and Mellotron soundscapes using archaic tracker software, and recording direct to cassette tape. During this time he immersed himself in the music of British classical composers such as Gustav Holst, and Ralph Vaughan Williams, the minimalist work of Wim Mertens and 1970’s children's BBC soundtracks such as those by Freddie Phillips, and Vernon Elliot. 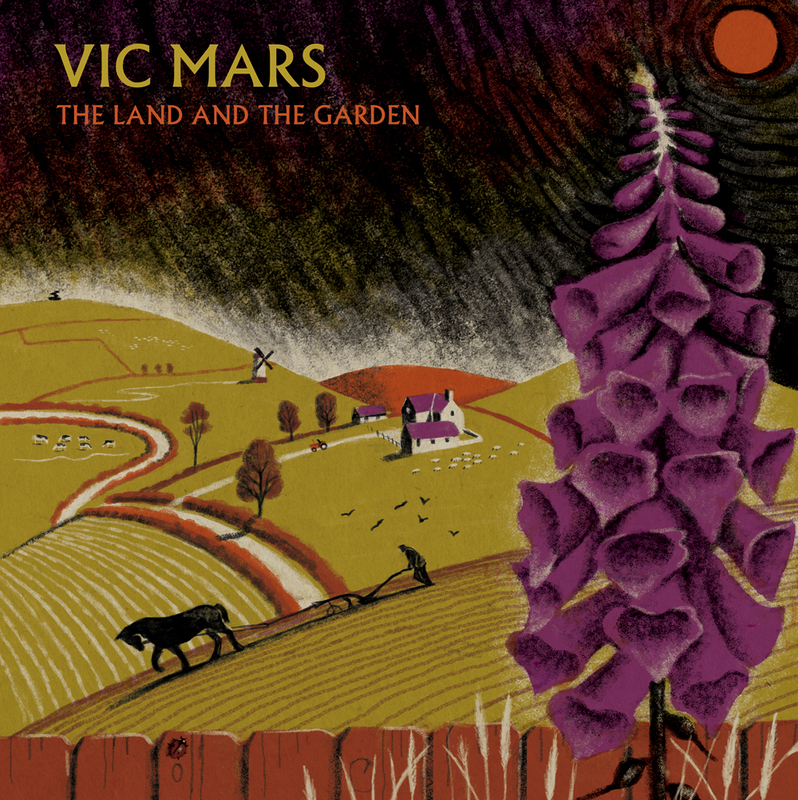 In 2014 with the album half finished Vic moved back to the UK, and after a period of disruption where his equipment was still in transit, he completed the record in the spring of 2015.